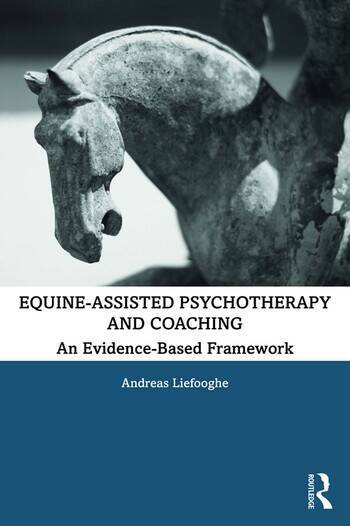 Based on over a decade of sustained longitudinal research with a broad range of different user groups, On Equine-Assisted Psychotherapy and Coaching: An Evidence-Based Framework is an essential guide which offers both theoretical foundations and practical models for working with horses in psychotherapy and coaching. While not a panacea for distress and difficulties, the connections that humans find with horses can become a catalyst for deeper self-knowledge. By de-centring the human subject and placing the horse in the middle of the investigation, the ways in which humans make sense of themselves can be explored and more easily understood. Drawing on this wide spectrum of different client groups, the book features intervention studies with expelled teenagers, adults in addiction recovery programmes, children diagnosed on the autistic spectrum, people suffering from trauma and mental health problems, prisoners, and even multi-national corporations wanting culture change. The practice of using horses in a psychological intervention is thoroughly scrutinised throughout, with ways of establishing successful change documented and assessed. Building to provide a comprehensive, evidence-based framework for equine-assisted psychotherapy and coaching, this essential book offers psychotherapists, coaches and all those who work in a helping capacity a clear insight into what horses can and cannot do in a therapeutic role. Andreas Liefooghe, PhD, is Professor of Psychology and Leadership at Sasin, Chulalongkorn University, Bangkok, and a psychologist at Birkbeck, University of London for the past two decades. A life-long horseman, he founded Operation Centaur in 2005 with the aim of providing a sound theoretical and empirical base for the practice of using horses for therapeutic purposes. "We are used to thinking of horses as helpful, noble, mysterious even; what is less commonly considered is that they are also embodiments of a deep wisdom. A horse will not nudge those it encounters; it lives in the present; it cares nothing for status; its thoughts are private and opaque – though one senses the thinking nevertheless. This helps to make the horse a remarkable animal in one respect in particular: they are – for us humans – supremely therapeutic. Observing and connecting with these animals allows us to connect with parts of ourselves which may have been neglected or unhelpfully split off. If you look at a horse for five minutes, a tiny part of its tranquil and noble soul takes root in you. All this is especially true for those who struggle with language; those who cannot easily connect the inside with the outside. In situations where the standard 'talking cure' won't work, perhaps with children with autism, teenagers, soldiers with PTSD, prisoners, and others, connection with horses provides a royal road into the unconscious – and to the rediscovery and articulation of disavowed parts of oneself. The genius of equine therapy is that the horse at the centre of the therapy invites talk, but does not itself require it to communicate.